← CHP Video : We are the light of the sky! We are the light itself! 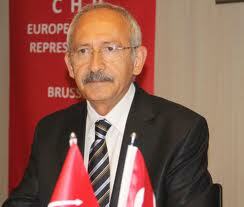 The leader of the main opposition Republican People’s Party (CHP) has said called on everyone who cares about Turkey’s future to vote “no” in an upcoming referendum that will decide whether the current parliamentary system will be converted into an executive presidency.